Crazy…this post is actually from 2012. Its comical how applicable it is today! My, how some things never change. When I deal honestly with myself I can say that I don’t run Jason Martinkus Inc. very well. I am inept. I am incompetent. And that’s exactly why I need a savior. If my own thinking, wisdom, creativity, craftiness, planning and executing served to bring success, happiness, significance to life and meaningful relationships then I wouldn’t need a savior. There would be no space for God’s sovereignty and power, for his miracles, for his grace and mercy, for his peace, or for the Holy Spirit to intercede. If I did a perfect job of learning from my mistakes then I’d have this life down to a science. I wouldn’t need God’s art. This is the essence of Step 1 of the 12 Steps. To admit that we are powerless over our sin and that our lives are unmanageable. To surrender the notion that we’ve got it altogether. To remove ourselves from the altar of our lives. But it’s more than just admitting and surrendering, it is also redefining our identity. You see, I am incompetent to run my life well, but that is not my identity. I’m not worthless or less lovable because of my inability to manage things. I’m not a lesser human. It simply means I’m not a savior, and that I need a savior. Our identity is found in the reality of God’s infinite love and acceptance of us. Incompetence and all. It’s in the fact that he knew the depth of our brokenness and chose us anyway. If you’re running You Inc., I encourage you to fire yourself. Hand over the corporate controls to Jesus. 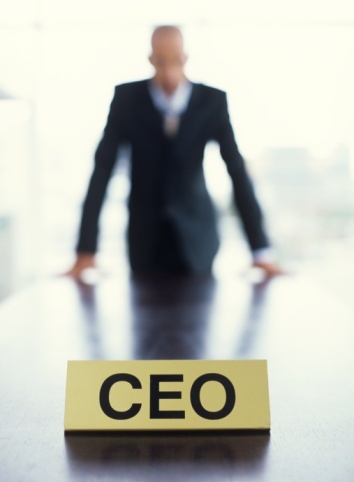 You may not be the best CEO of your life – and that doesn’t define you. It simply means you need a savior.